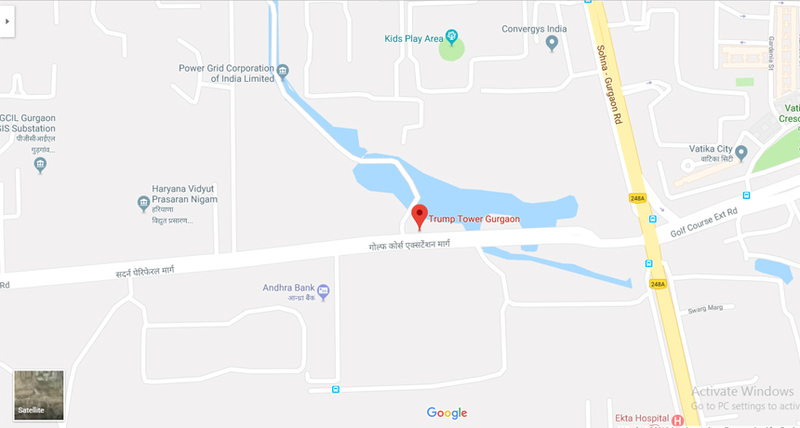 Very soon Gurgaon’s crowded skyline will have a new landmark address named Trump Towers at Golf Course Road Extension. 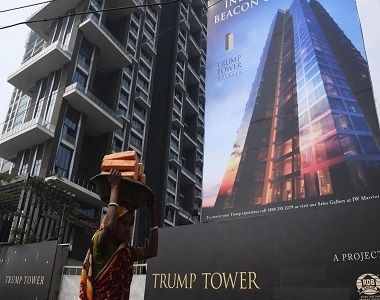 It is India’s 4th Trump Towers' project that is named after US President Donald Trump and licensed to his realty brand Trump Organization. The project has already been launched and expected to be completed by March 2023. Trump Towers Gurgaon will make its debut through the top real estate brands M3M India and Tribeca Developers. This is going to be the most heavyweight and luxurious edition in Gurgaon. M3M and Tribeca will develop around 258 ultra-luxurious flats under the brand license from the Trump Organization which is currently led by Jr. Donald Trump. The Gurgaon edition of this Trump Towers will have 3 and 4 bedroom options. The size of the apartments will vary from 3,500 to 6000 sq. ft. designed in the signature Trump style. This is the 4th edition of Trump project after Mumbai, Pune, and Kolkata. This is going to be the most prestigious address in Gurgaon with its exotic living facilities, stunning architectural design and the beautiful interior options. 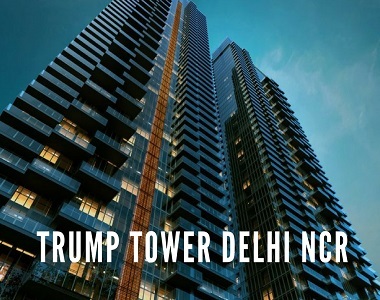 The developer is aiming to bring the best of Trump brand and the luxury living experience in Gurgaon. 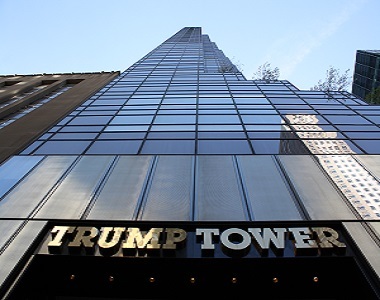 Trump Towers location is thoughtfully planned to keep in mind the convenience and comfort of the residents. The development will be housed in 2 towers where each tower will have around 50 floors facing Golf Course. The towers will have the glass facade which is the signature style of the Trump Brand. All the apartments will have 1 family lounge and a personal private lounge in the master bedroom. In 4 BHK duplex apartments, there will be 22 feet double height ceiling in the living area to lure the residents. Each room at Trump Towers apartments will have floor to ceiling windows. The two towers will stand out in the skyline as this is going to be one of the tallest developments of this kind. In order to give exclusiveness to this beautiful residential project, every floor would be of 3.75 meters as compared to 3.15 meters offered in other premium developments. 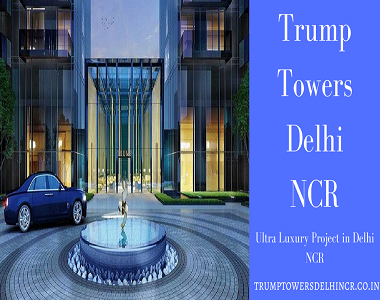 The height of Trump Towers Delhi NCR is 200 meters which are 30 meters more than any premium project of the same dimensions. The lavishing amenities in this project is really breathtaking and luring the buyers. There is an exclusive 32,000 sq. ft. the clubhouse where you can socialize with the other residents and spend your leisure time. There is also an infinity edged temperature controlled indoor pool where you can have a dip and relax after a long hectic day. Fitness center, fine-dining restaurant, business center and in-residence catering are also offered. There is a valet service for the private entry and exit along with a personal lift lobby. Each residence will have a private elevator. These are truly premium homes located at Golf Course Road in Gurgaon facing the 9-hole Golf Course and offers easy commutation to the nearby locations. Trump Towers Golf Course Road is a premium project that will offer the apartments priced from Rs. 5.20 crores to 9.30 crores. The booking for these ultra-luxury homes have already been started and more than 20 units have been sold. According to the Trump Towers price list, multiple payment options are available for investors and buyers. The price of homes varies according to apartment size and configurations. The payment options include construction linked payment plan, possession linked payment plan in format 30:40:30 and the subvention payment plan that includes 15:75:10 format for the convenience of buyers. Easy loan options and NRI services will also be available soon that you can choose accordingly.